A Visit from Arnold. Arnold's visiting Hillwood from San Lorenzo, and the girls flock over him. HD Wallpaper and background images in the ارے Arnold! club tagged: hey arnold! 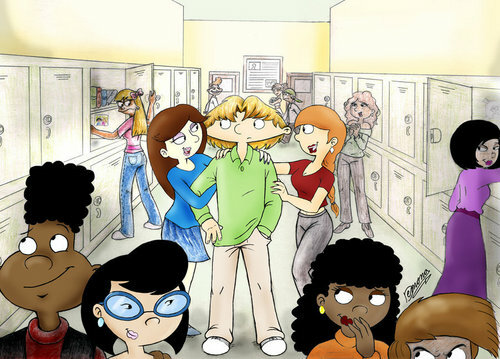 helga arnold gerald phoebe timberly fan art high school.